As a follow up to our previous stories, we have the latest information about the Guitar Hero World Tour drum kit issues, straight from RedOctane. A tuning application for the drum kit has been made available at the Activision Customer Support Center. 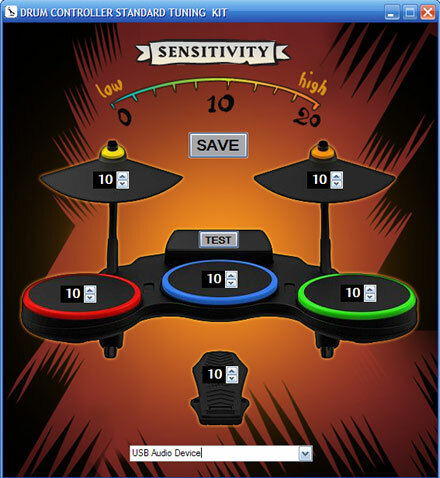 The application, which runs on your PC, will allow users to adjust the sensitivity of each drum pad individually. It appears that many of the issues with double hits, missed hits, and the like can be fixed with this handy little application. All you need, besides the app itself, is a midi-USB cable to hook your drum controller up to your PC. Ah, but those aren't exactly available at your corner store, kind of like plutonium in the 1950s, so many of us don't have one lying around the house. The good news is, you can request a midi-USB cable from RedOctane for no charge! It seems our worries about being charged for the fix were all for naught. Kudos to Activision/RedOctane for doing the right thing here!